Prime Minister Dr Joseph Muscat visited the Valletta 2018 headquarters where the final preparations for the crowning of Valletta as European Capital of Culture (EcoC) 2018 are taking place. Welcoming the Prime Minister, Valletta 2018 Foundation Chairman Jason Micallef said the opening, taking place on Saturday 20th January, is the culmination of work that has been spread over several months. Between 80,000 and 100,000 people are expected to participate in the opening events in Valletta. Over one thousand artists and performers will be taking part in the Valletta 2018 opening celebrations together with some 540 personnel on production, technical aspects and crew. A total of 80 delegations from other European Capitals of Culture dating back to Liverpool 2008 will also be joining in together with journalists and crews from over 30 agencies and media houses including RAI, ZDF, Sky News, China Central Television, as well as media from Valletta 2018’s sister ECoC Leeuwarden 2018 and Matera ECoC 2019. The official opening will take place at the Mediterranean Conference Centre at 5pm and will be televised live by the Public Broadcasting Services. Members of the public will be enjoying shows in four major squares in Valletta between 7pm and 10.30pm. TEMPO, the closing concert of the Valletta 2018 Opening Celebrations, with Maltese international DJ Tenishia and the Malta Philharmonic Orchestra will be kicking off at Pjazza San Ġorġ at 11.30pm. Prime Minsiter Muscat said: “In these past five years, Valletta has transformed into a vibrant city booming with activity. As many know, Valletta was a dying city. Our beautiful and majestic capital was an administrative hub, with very little life in the streets during the evenings. This has now changed; Valletta is not only an administrative hub but also a creative one. This year Valletta 2018 will be leaving a lasting legacy for years to come. 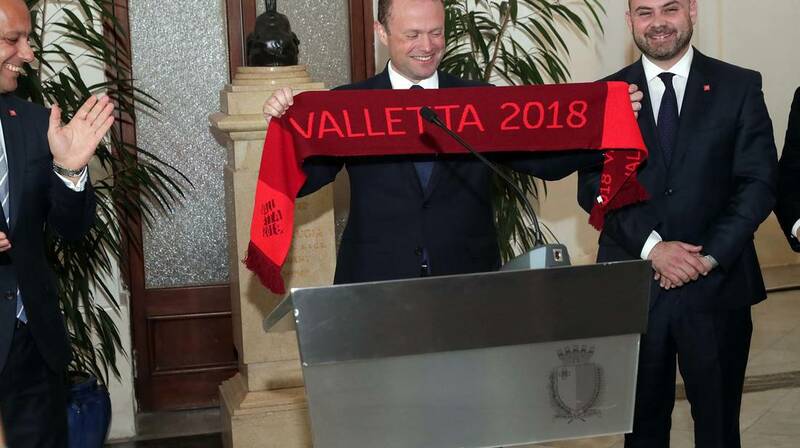 Valletta 2018 has delivered successfully big time.” He also reiterated that Valletta 2018 will carry on beyond December 2018. A week-long programme of events is currently taking place in various spots of the island as a reminder that events will be happening all over Malta and Gozo over the coming months. Further details are available at valletta2018.org.